Rosé is an elegant wine, great served chilled and not too hard on the wallet. 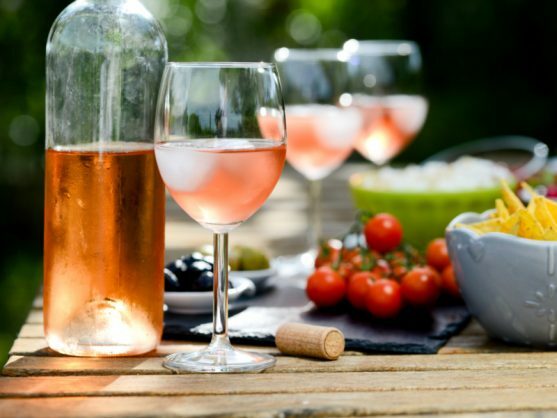 Rosé has become a favourite wine in South Africa. Not just because it’s easy-drinking and pairs well with variety of food, it’s more readily available to buy by the glass at restaurants and bars. Long gone are the days of sickeningly sweet rosé. It is an elegant wine, great served chilled and not too hard on the wallet. Two great rosés that have just been released are the berry-rich Angel Tears Rosé 2018 and Steenberg’s Ruby Rosé 2018. Angels Tears Rosé is a South Africa must-have made primarily of pinotage and shiraz grapes. That backbone gives it that berry twang and its beautiful candy-floss hue. It’s a fruit-driven sensation, with strawberries and raspberries leading the pack. If you’re someone afraid of heavy reds, this is a great mediator between easy-drinking white wines and its red cousins. Angels Tears Rosé is available country-wide and sells from the Grande Provence cellar door at R65. Steenberg’s rosé is a dry style that on the nose shifts toward watermelon and apple, with hits of candy. With each sip, expect raspberries and strawberries, but there’s also hints of spice that gives it a deeper edge – and that is likely thanks to its blend of syrah (69%) and cinsault (31%). Rosé’s popularity could stem from the fact that they pack flavour without being complicated. The Steenberg Ruby Rosé 2018 sells for R93 at the cellar door.